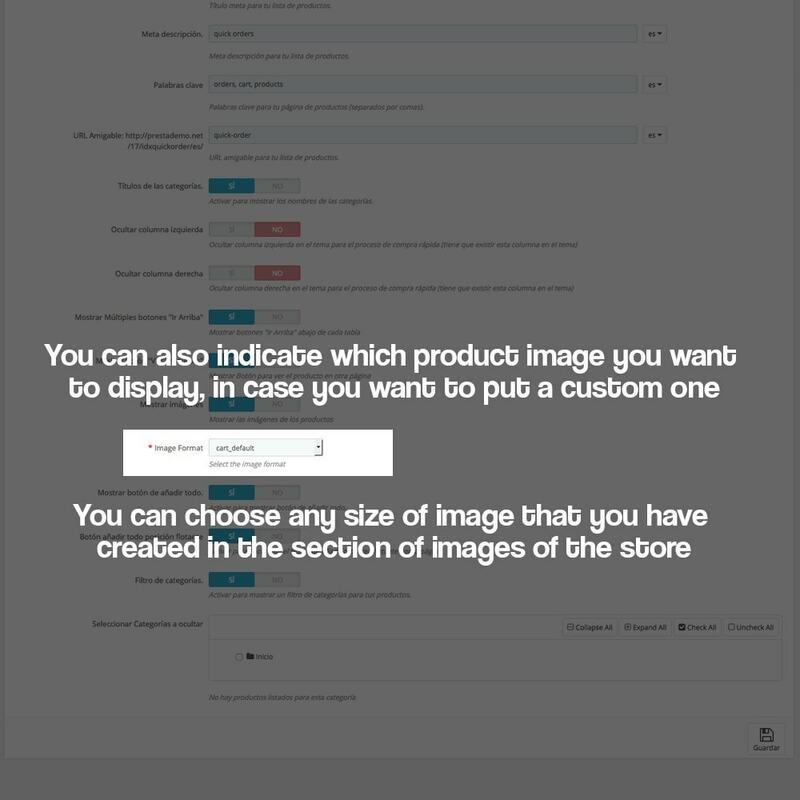 You will have a new section in your online store, from which you will give the option that your customers can buy quickly. 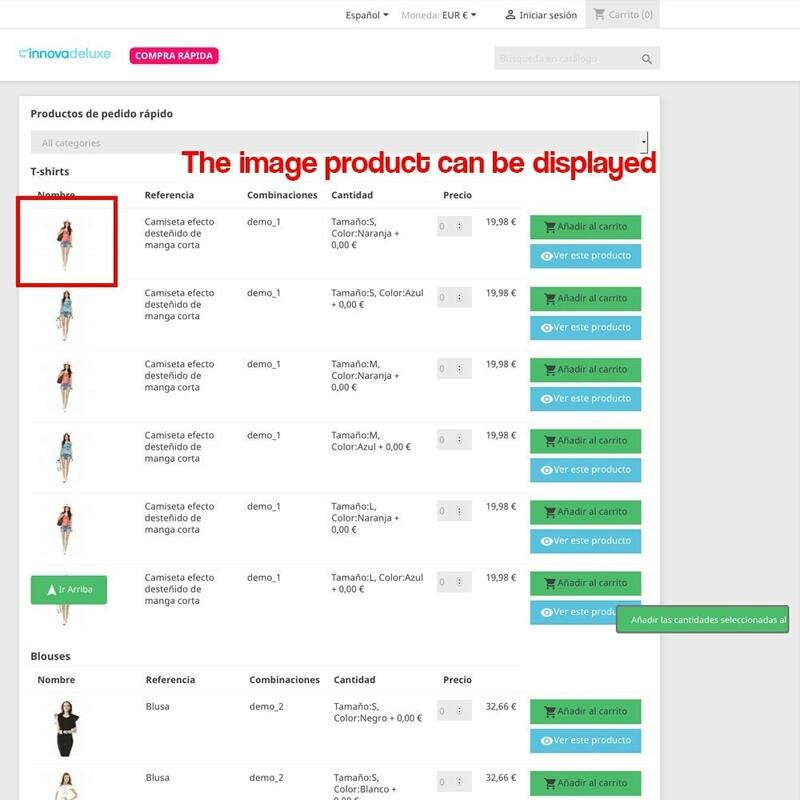 This type of purchase is suitable for professional customers who already know the products they are going to buy and are clear about what they need. 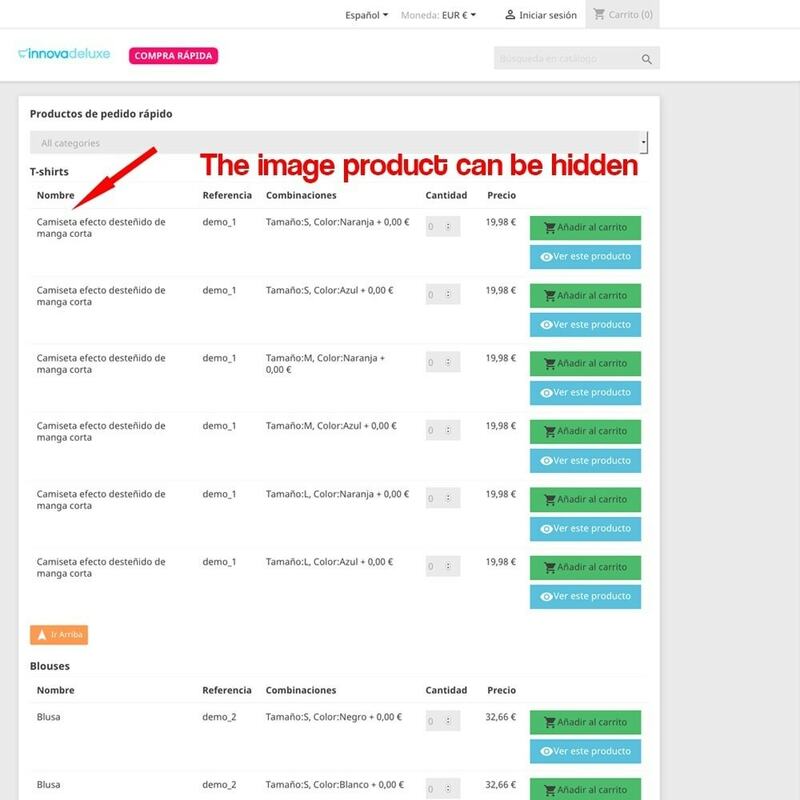 From a same list of products will have access to all the products of the store and you can configure what information is shown in that listing, as well as the visualization of the entire section. 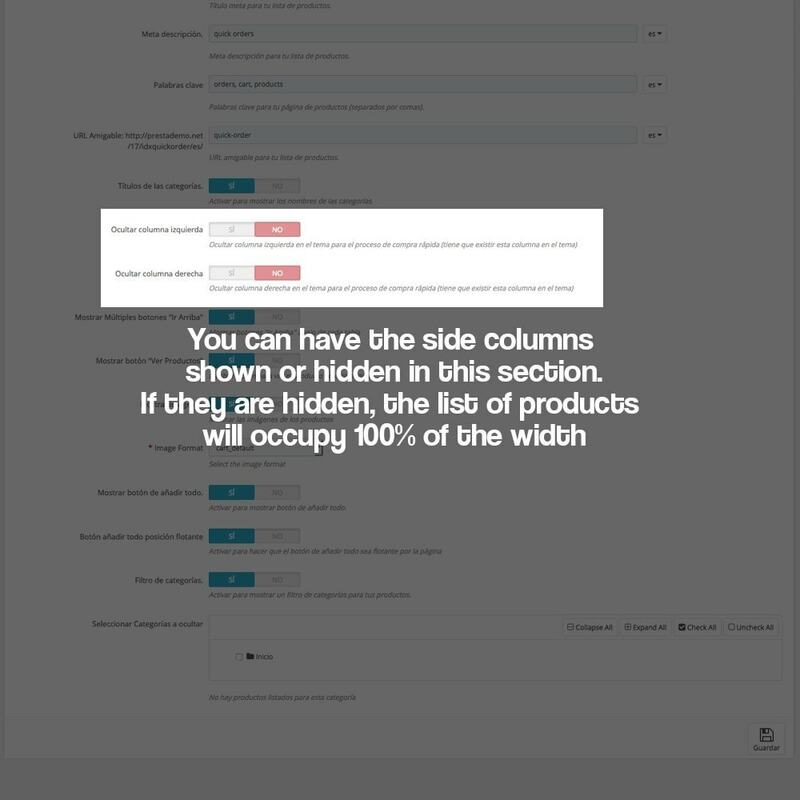 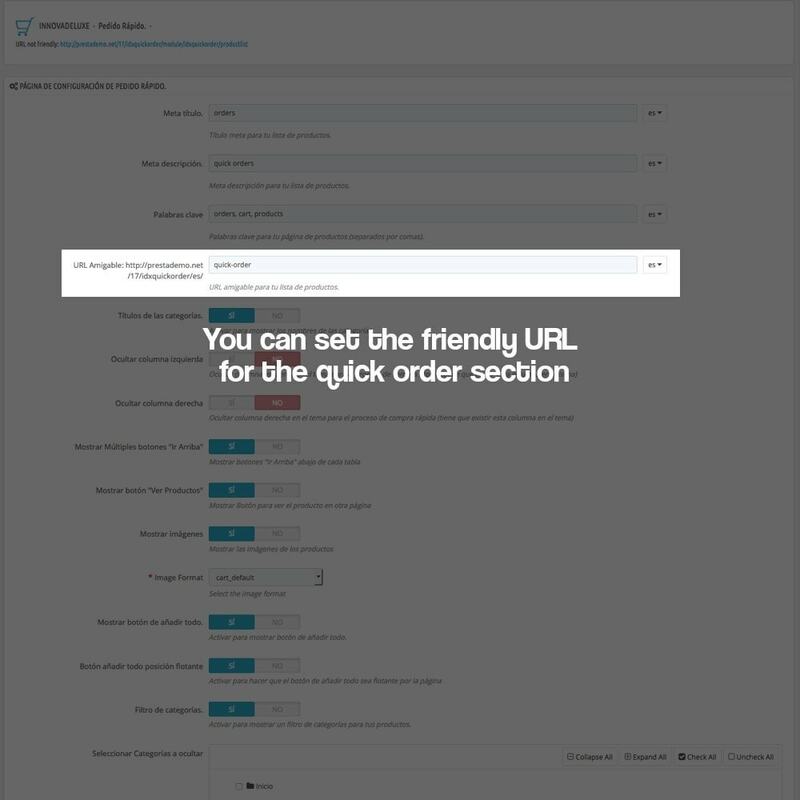 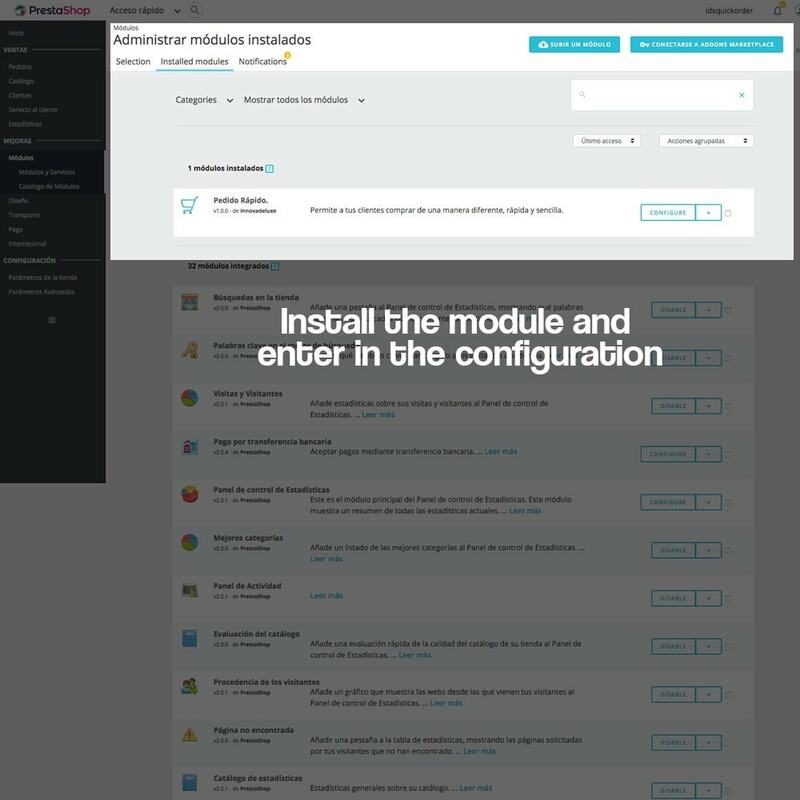 This module will allow you to optimize the list of products to your liking so that your customers can order quickly. 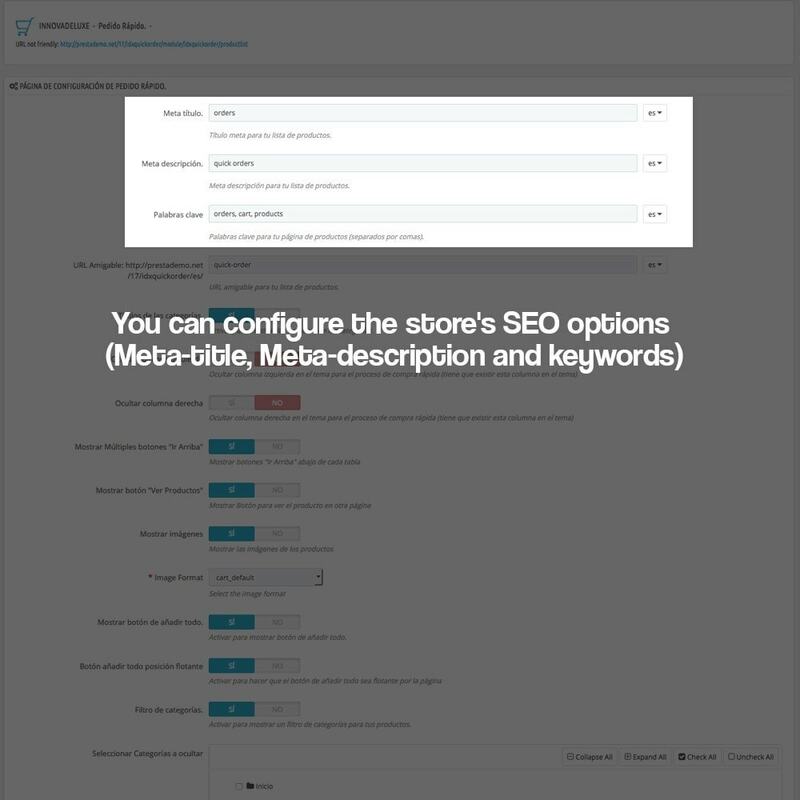 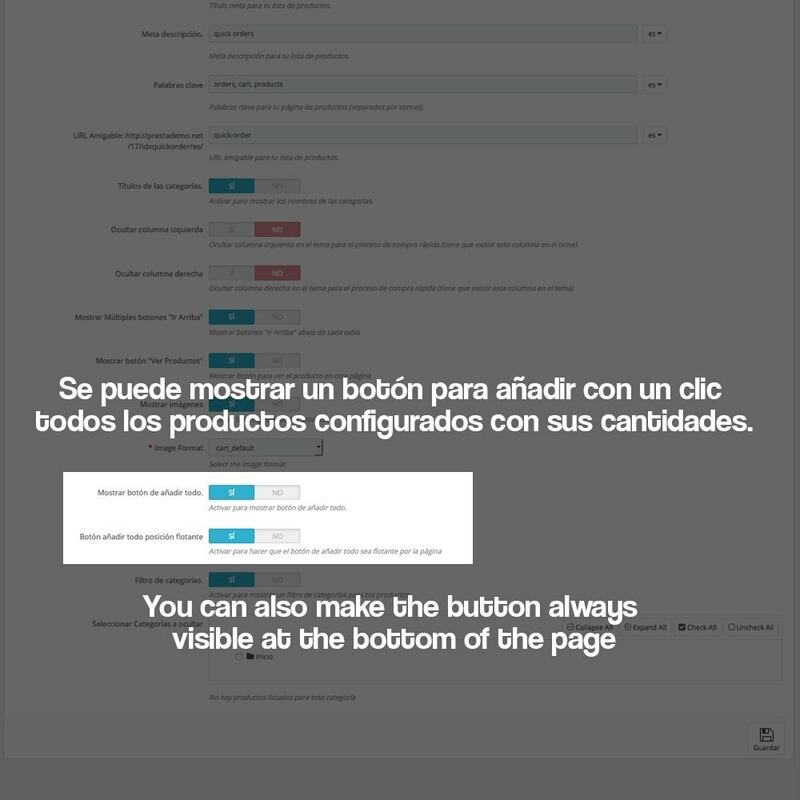 You can configure all things mentioned before for each language in your shop. 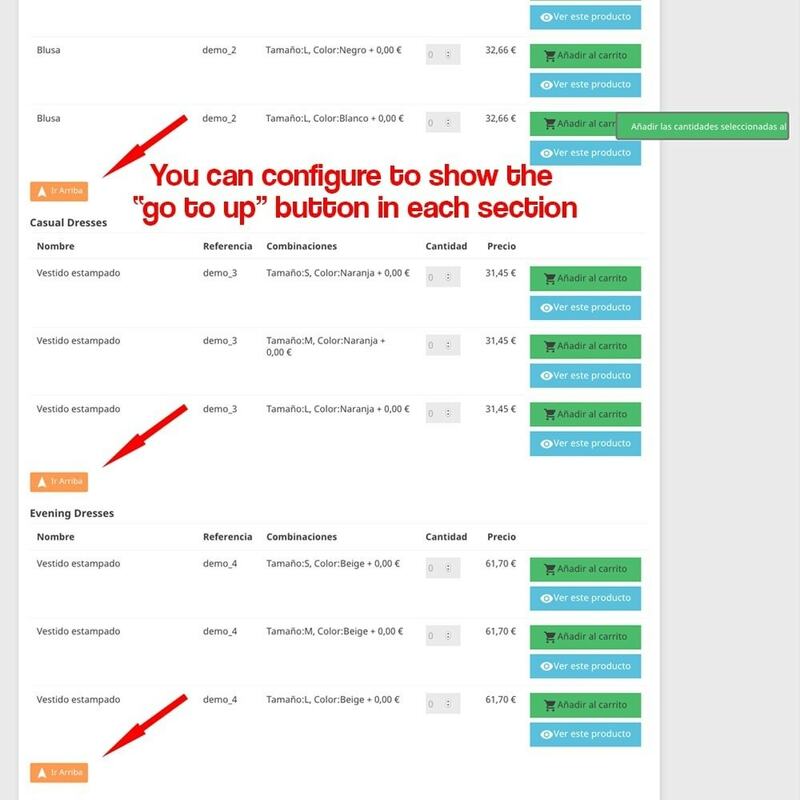 You can show / hide the category titles as a section separator in the list. 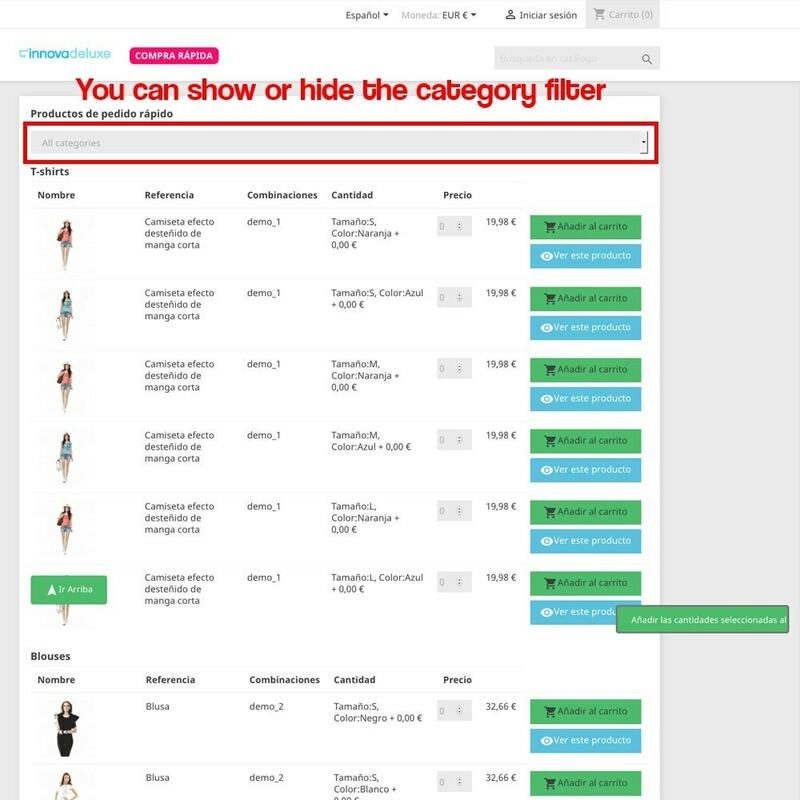 You can show / hide the left column of the store. 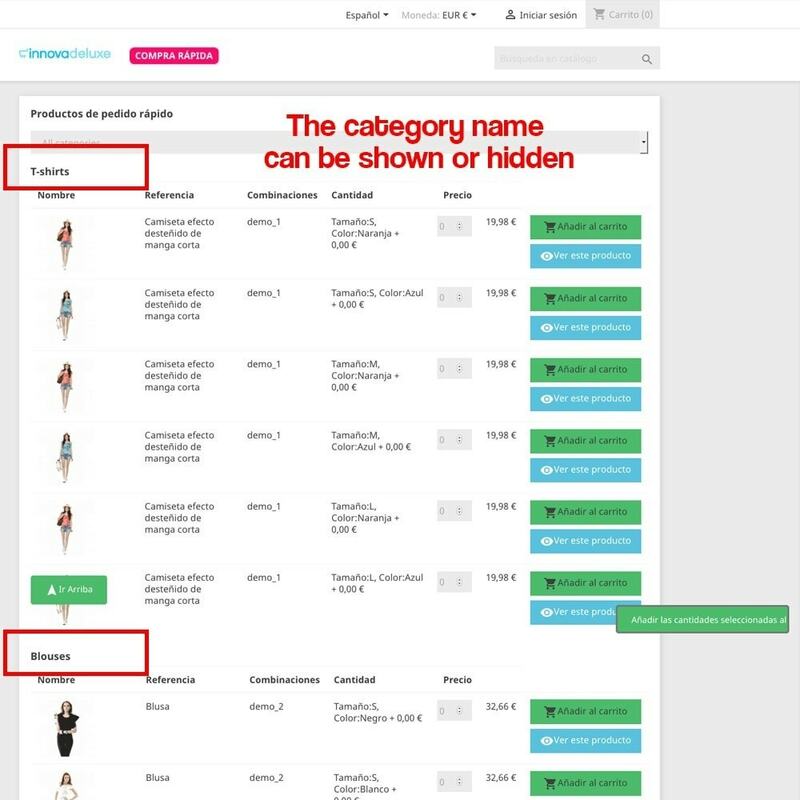 You can show / hide the right column of the store. 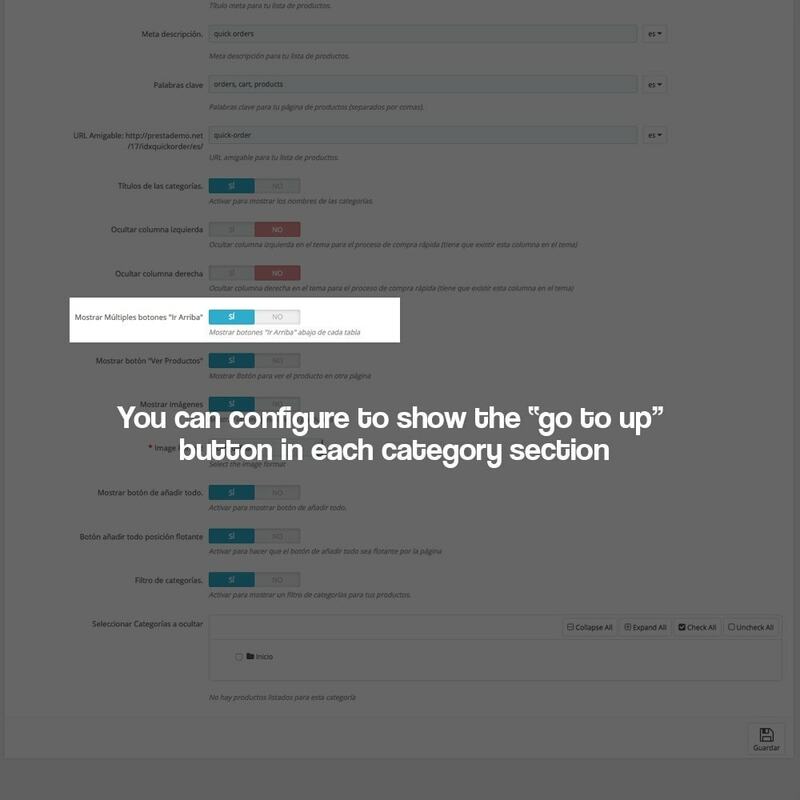 You can activate multiple “go to up” buttons so you do not have to scroll. 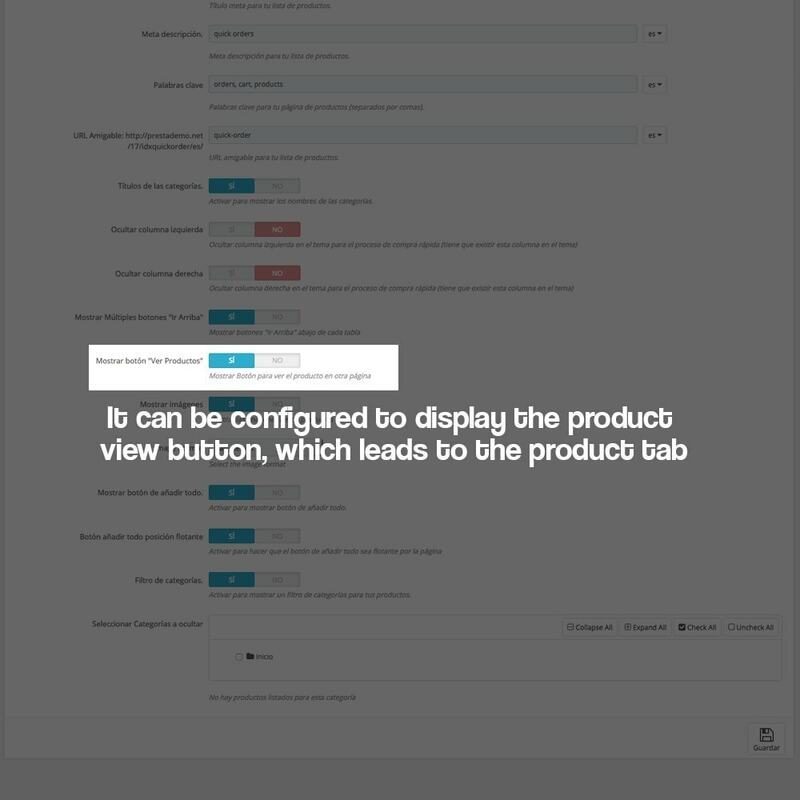 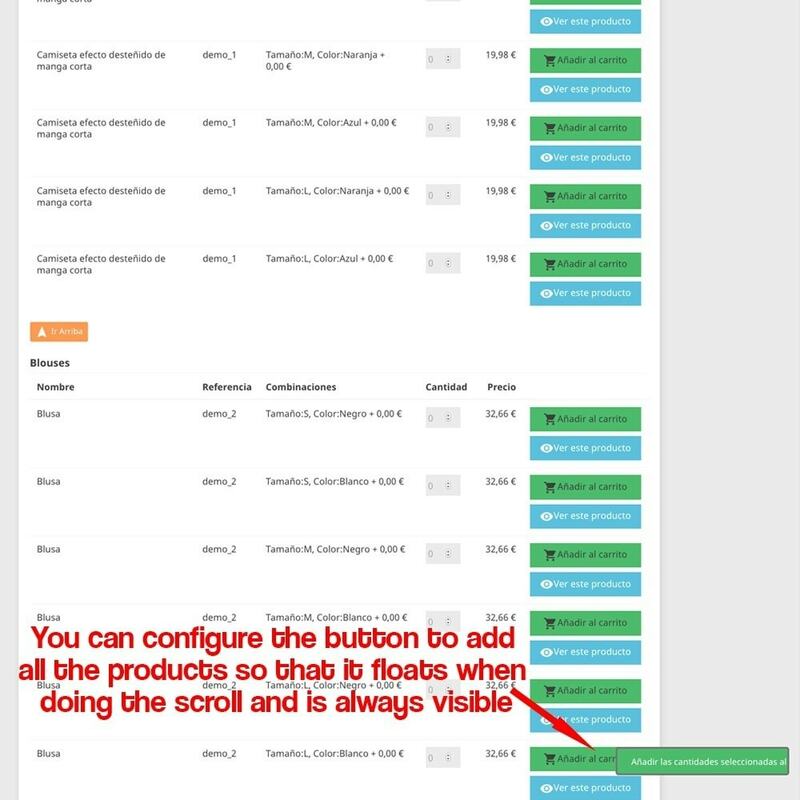 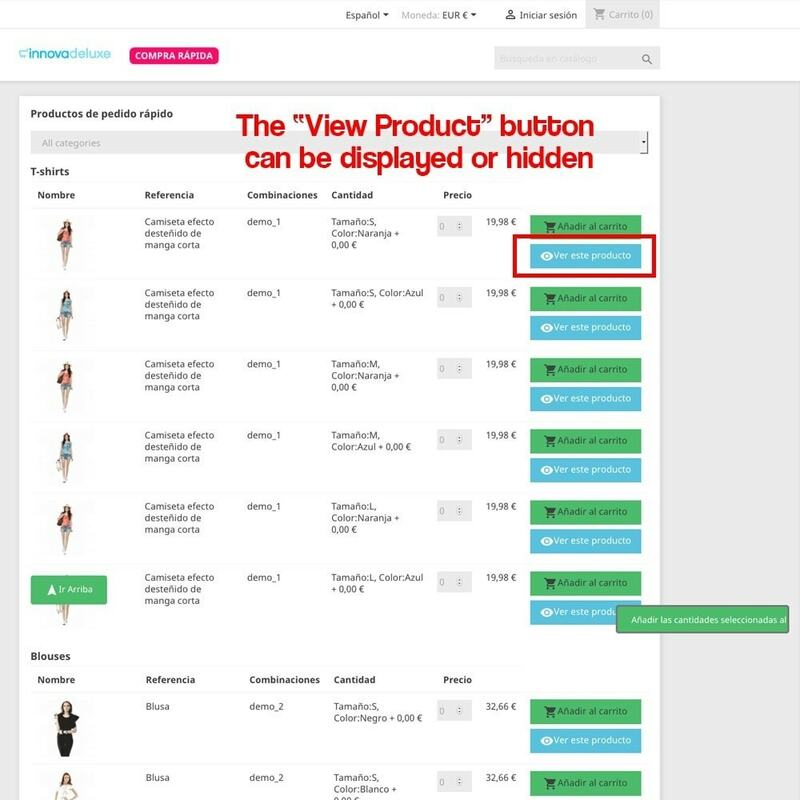 You can show / hide the "view product" button to enter the product data sheet. 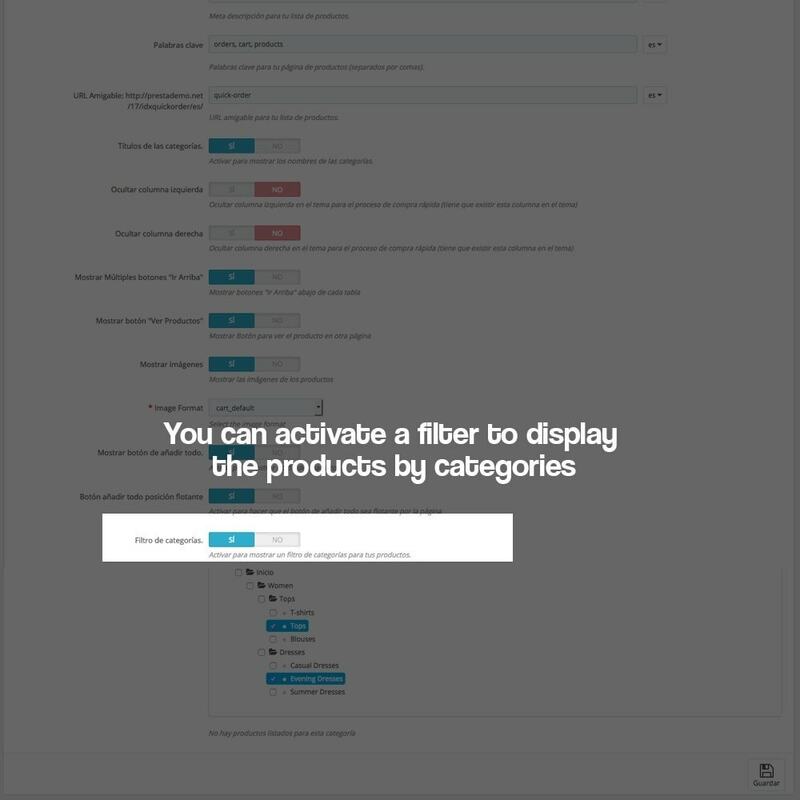 You can show / hide the category filter. 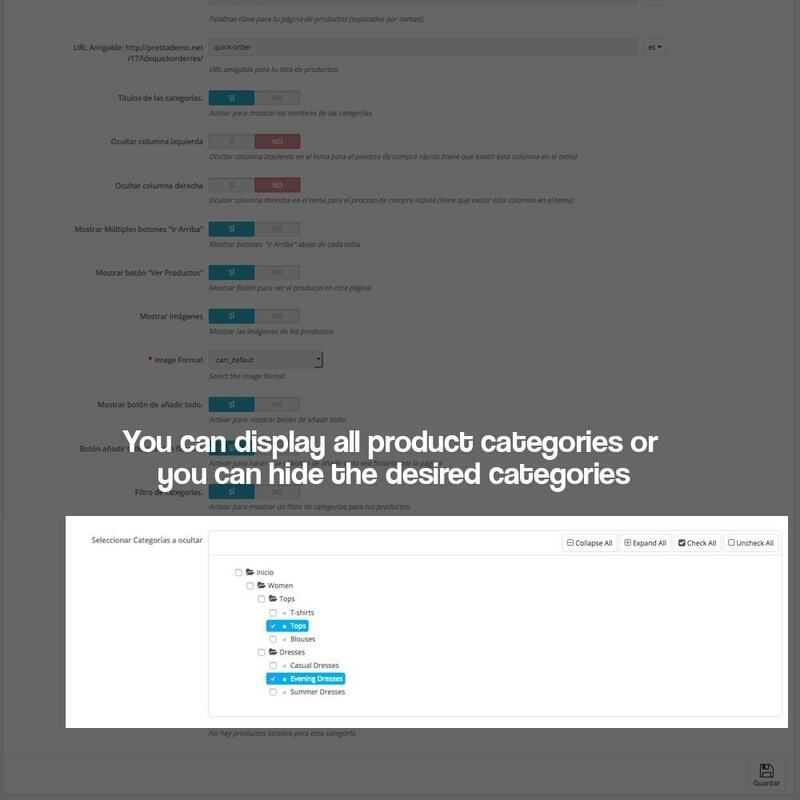 You can select the categories you want to show or hide in the Quick Order section. 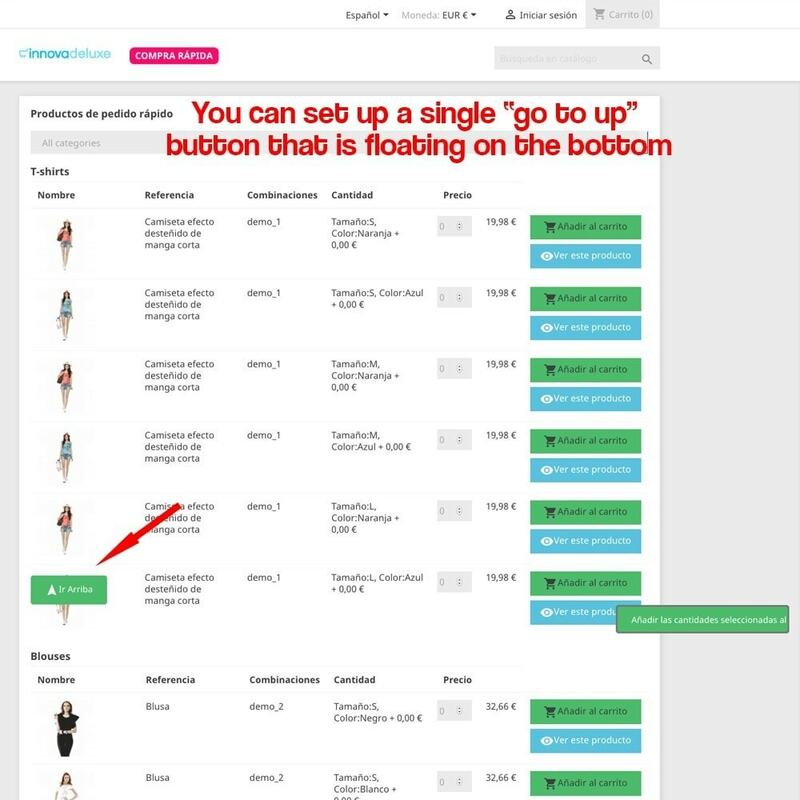 Your professional customers can save a lot of time when ordering in your store. 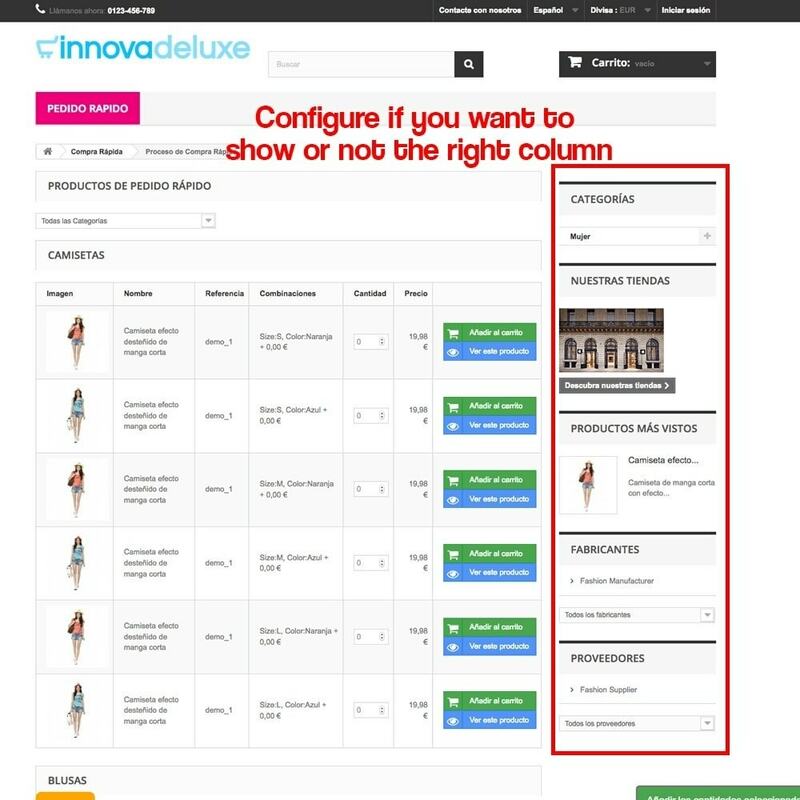 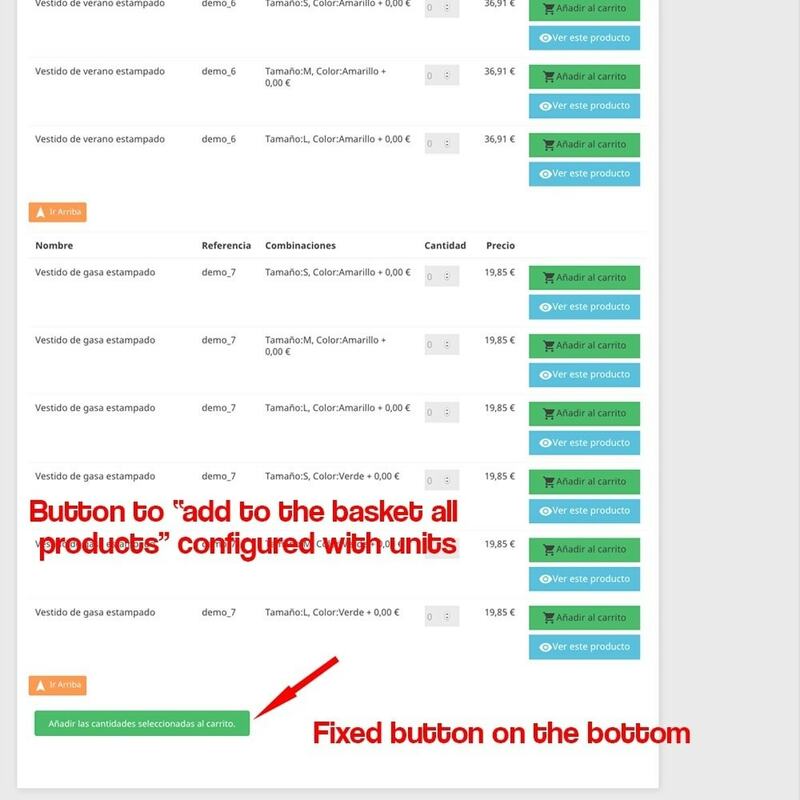 Optimize the user experience so that from a single section they can configure all the products they want to buy, marking the combinations that interest them and the necessary units, they can add all the products of blow to the basket, saving a lot of time since they will not have to Enter the product listings to see the different combinations available. 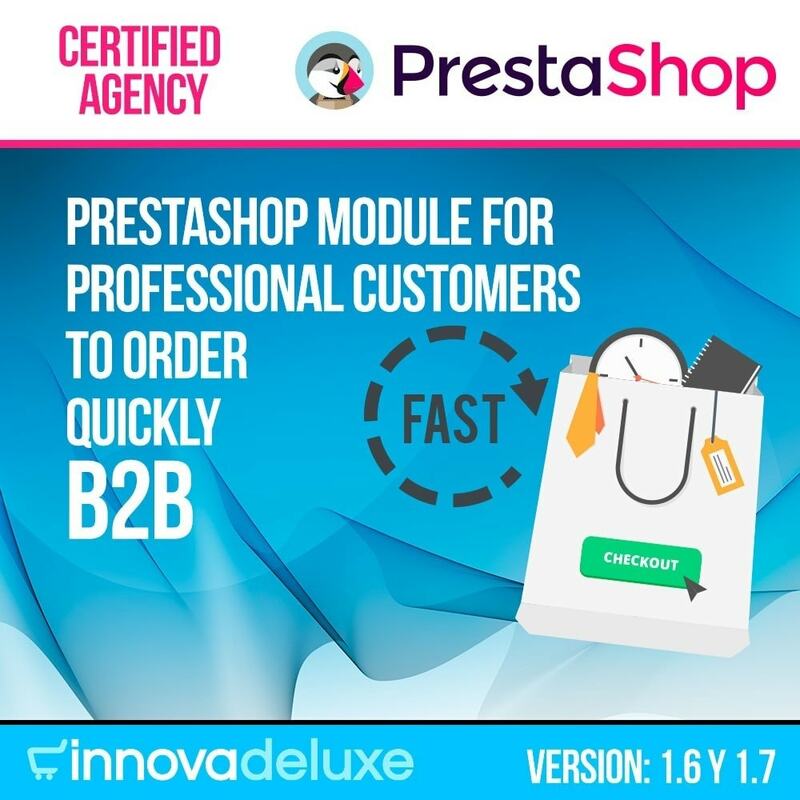 This module is recommended for stores where products are sold to recurring professional customers, customers who know the product perfectly and want the shopping experience to be super fast. 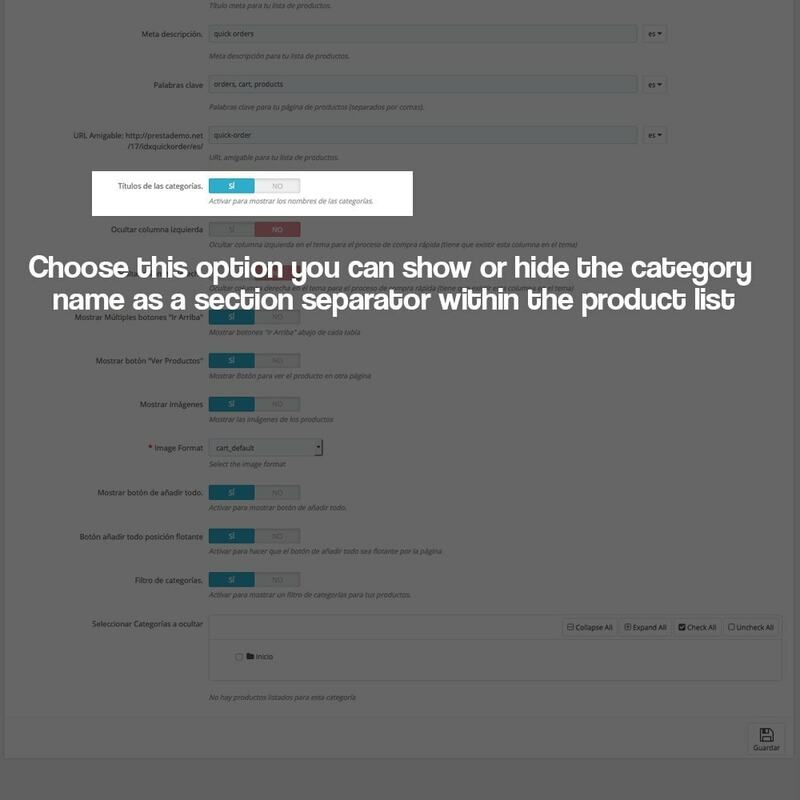 It is also recommended for food and similar businesses for which it is not necessary to enter the product sheets to make the purchase, from a well optimized listing can be purchased quickly .. 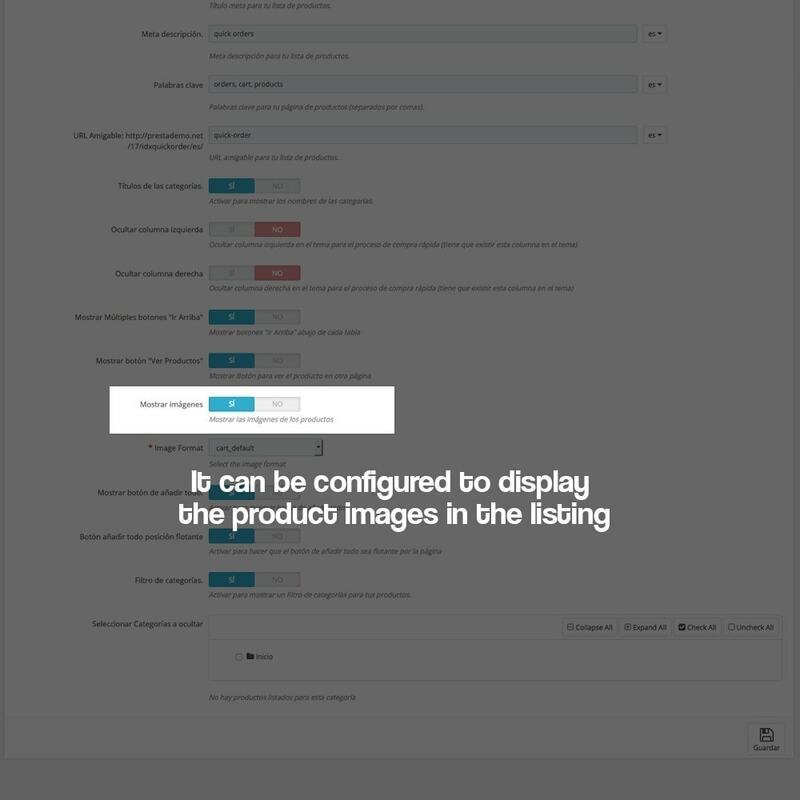 This way you will have a super optimized listing for quick purchase.